Technology is supposed to simplify your life. 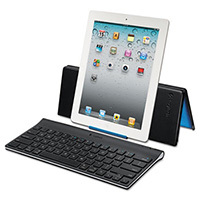 At Weeks Lerman we help keep it simple with a great selection of tech products. Supplying your office with the technological necessities doesn’t require a specialty store. At Weeks Lerman we’ll save you money on the tech products you need without sacrificing quality. We have an expansive selection of technology services and supplies to keep your business and print network running efficiently and effectively. We offer branded ink and toner for your imaging equipment and quality compatibles for extra value. Reduce your spend with quality private-label inks, toners and other accessories. Weeks Lerman is your single source solution for technology necessities. Count on us to help keep your office running smoothly.